Archer on Airguns: At Last! Bipod, Sling and Sling Stud Available for Stoeger ATAC Air Rifles. At Last! Bipod, Sling and Sling Stud Available for Stoeger ATAC Air Rifles. Now available for the Stoeger ATAC air rifle are the long-awaited bipod, sling and sling stud accessories. The Stoeger ATAC Bipod fits onto the Weaver rails either side of the stock forend. It comprises two separate legs which are rubber tipped and adjustable for length. 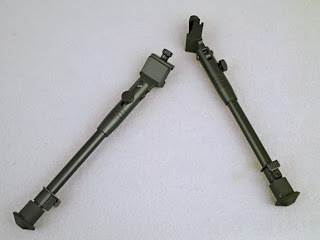 Our photograph shows two different views of the bipod legs - both legs are the same. One end of the black, synthetic sling attaches to the slot in the side of the ATAC's buttstock spacer. The other is fitted into the sling swivel which is attached to the Weaver rail on one side of the forend. 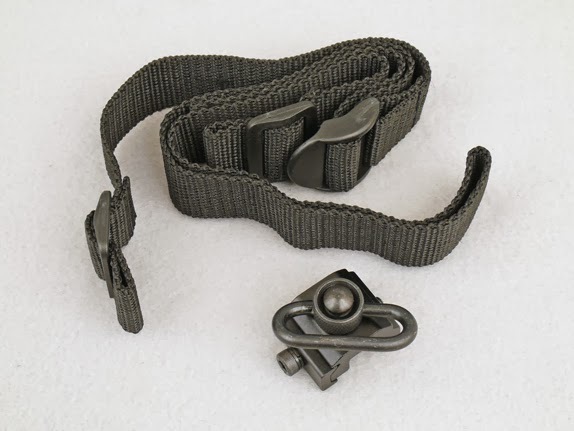 Archer Airguns is selling the ATAC sling and sling stud together as a combined product as they obviously are meant for each other! The ATAC bipod is Stoeger Airguns Item Number 90249. The ATAC sling and sling stud are Stoeger Airguns Item Numbers 90248 and 90230. 2240 Custom Wood Grips Are Back!